Checkout Best Transactional Bulk SMS Pricing Here! How can we use Transactional SMS? Inform students and parents for attendance, fees and other notices. Update your client instantly for critical information like payment transfers, credited, debited etc. Send updates to your customer for their order like order confirmation, order delivery, return confirmations. Send booking information sms for gas, business event, air/rail/bus ticket, and doctor appointments. Yes, your SMS will be delivered with Alphabetic six characters sender id like LM-SSDWEB, TD-SSDIND, HP-WEBSMS. But if you have registered business and you want to send SMS to your registered customers then you can get sender ID. What is Bulk SMS API & How to Use It ? Bulk SMS API is a code which gives you facility to send bulk sms from your software/ website. 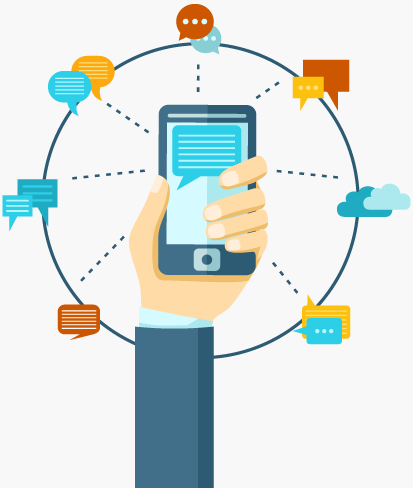 You can integrate SMS API in your business software or website. Then you do not have to login to our bulk SMS portal to send SMS.We will provide you HTTP and XML API code. SSDIndia provide's sample code for PHP, Java and C# for developer reference. Your developer can refer that code and integrate with your software.Kindly note we do not provide any integration services. You need to integrate with the help of your developer / coder.